These communications between your brain and the rest of your body, if disturbed, can cause a great deal of discomfort and other health problems. Subluxations may also involve muscle spasms and the muscles within the back “locking up.” Nearby nerves can also be affected. All of this will affect the rest of your body, as the communication from your brain has been interfered with. These kinds of issues can result in back aches (ranging from mild to severe) and headaches, but more issues may also crop up. Consider that if the nervous system isn’t properly working, it can even affect your stomach, causing stomach pains or problems. The nervous system is responsible for everything in your body—that means each individual organ and tissue are regulated and controlled by it. 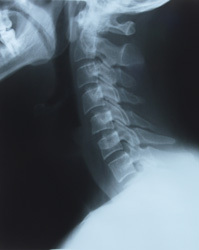 If you have spinal subluxations, this will affect the rest of your body in a negative way. The only way to determine if you’re experiencing subluxations is from a proper chiropractic examination. A way to lessen or remove subluxations is with chiropractic adjustments. If you don’t find out if you have subluxations, it may lead to more serious problems throughout your body which can become quite serious. If I have subluxations, what are they from? Subluxations are generally the result of three different causes: physical, emotional, and environmental. If you fall or have been in an accident, this would be a physical cause. However, emotional causes such as stress or anger are often overlooked and can result in subluxations. Finally, abuse of alcohol or drugs, and even simply having a poor diet, can result in subluxation at the chemical level. How can a chiropractor help with subluxations? Subluxations are most commonly reduced or removed entirely through a series of chiropractic adjustments. Force applied in the proper areas of the back, repeatedly and over a duration of time which can vary, is one of the ways that this kind of issue can be reduced. I think I might have subluxations. How can I be sure? It’s actually quite possible to have subluxations and be completely unaware of it. However, if you believe that you may be experiencing this problem, scheduling an appointment for an examination with a chiropractic professional is the best way to find out before it leads to more serious health issues. Do subluxations ever go away by themselves? It can happen, yes. However, due to the nature of modern society’s lifestyles, we often find patients who have lived with them for periods of time that were far longer than necessary. While our bodies can heal themselves, in the event that your subluxations haven’t resolved on their own the best thing you can do is have an exam and get scheduled for adjustments.